Most people hear the word Orlando and immediately think theme parks. And while Florida’s central city may be famous for being the theme park capital of the world, only one of the major parks is actually located within the city. 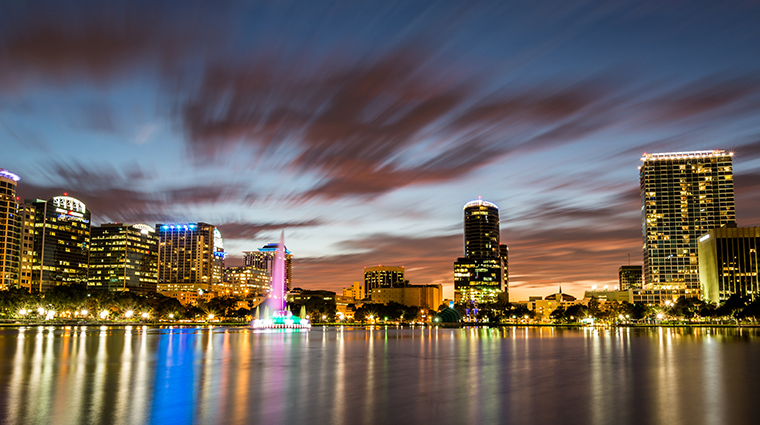 So while the greater Orlando area has attractions from parks to entertainment complexes, shopping, water parks and more, the city itself is as close to an urban oasis as it gets. Live oaks edge picturesque brick-lined streets that surround the city’s central focal point of Lake Eola. The city’s history stretches back to the early 1800s, when it was an offshoot of a military outpost in the midst of the Seminole wars. Today, Orlando is modern and dynamic, influenced by the constant influx of visitors who come to enjoy the temperate weather, top-notch golf and world-class sports teams like the NBA’s Orlando Magic.